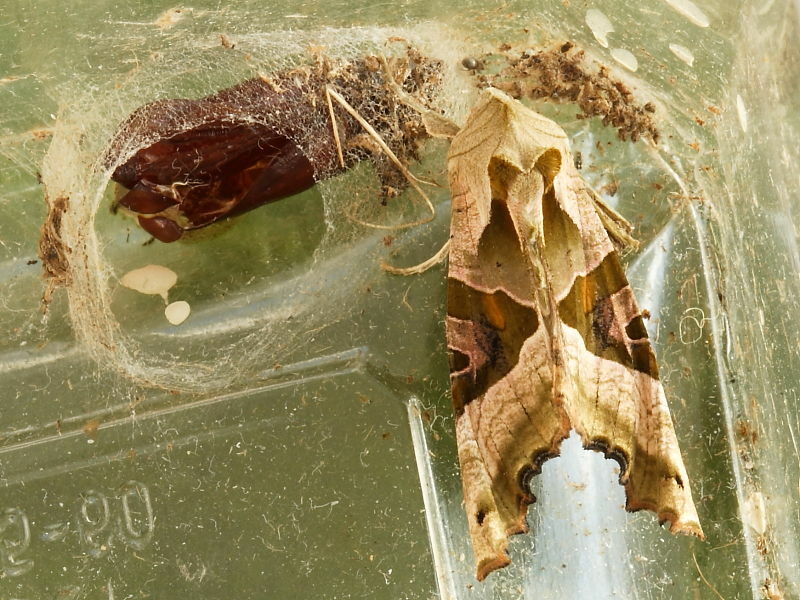 There can be few British Isles moths that are so instantly recognisable. 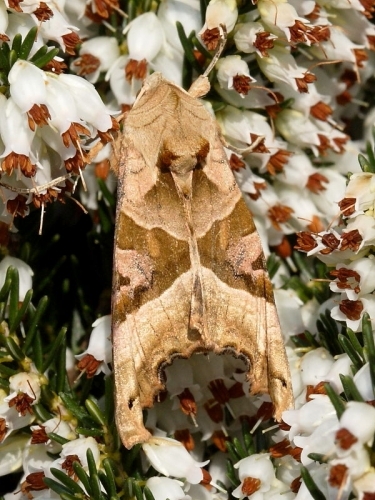 The Angle Shades moth has a wing span of up to 50mm. When at rest the wings are held back alongside its body and have a distinctive upturned fold towards the lower part of the costa. The subtle shades of greens and browns are wonderfully cryptic when set against a background of autumnal leaves. It is widely distributed throughout the British Isles but commonest in the south where multiple broods can occur. The main flight period is between May and October but they can be recorded in almost any month of the year. The arrival of migrants from Europe can further boost numbers particularly in the south. The species occur in a wide range of habitats including gardens, woodlands, fens and coastal regions. 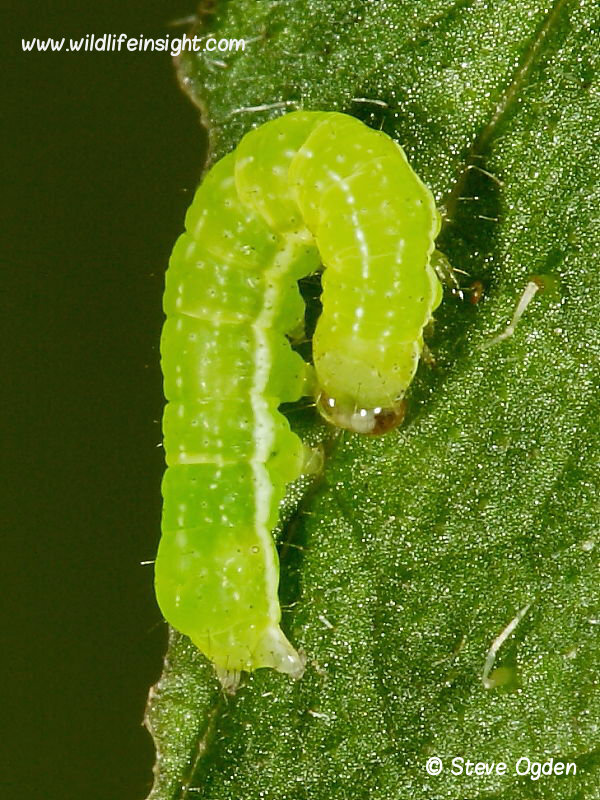 The larval food includes a diverse range of herbaceous plants, shrubs and deciduous trees including dock, bramble, nettle, oak and sallow. 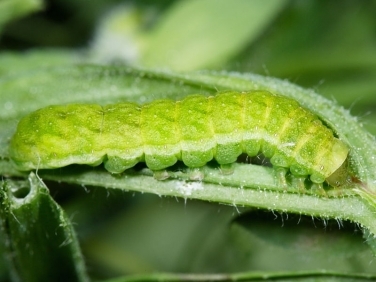 They are readily attracted to light and can often be found nectaring at flowers such as Buddleia at night. The caterpillars grow up to 45mm and may be green or mixed shades of brown, sometimes with hints of yellow. The head colour varies from green to mottled brown and a fine, pale dorsal line runs down its back. A broad pale band extends along the length of the body below the spiracular line. The caterpillars are commonly found by gardeners when weeding. 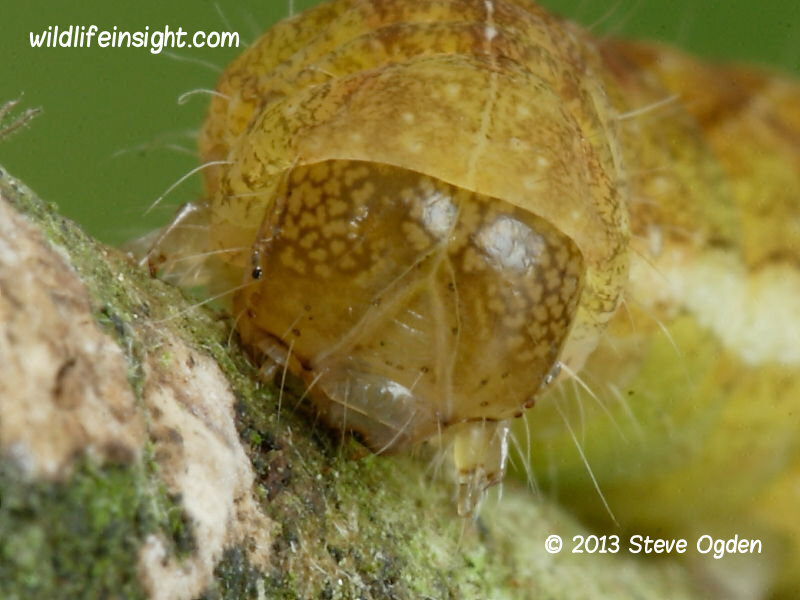 Once fully grown the caterpillars spin a flimsy cocoon just below the surface of the soil or amongst leaf litter. 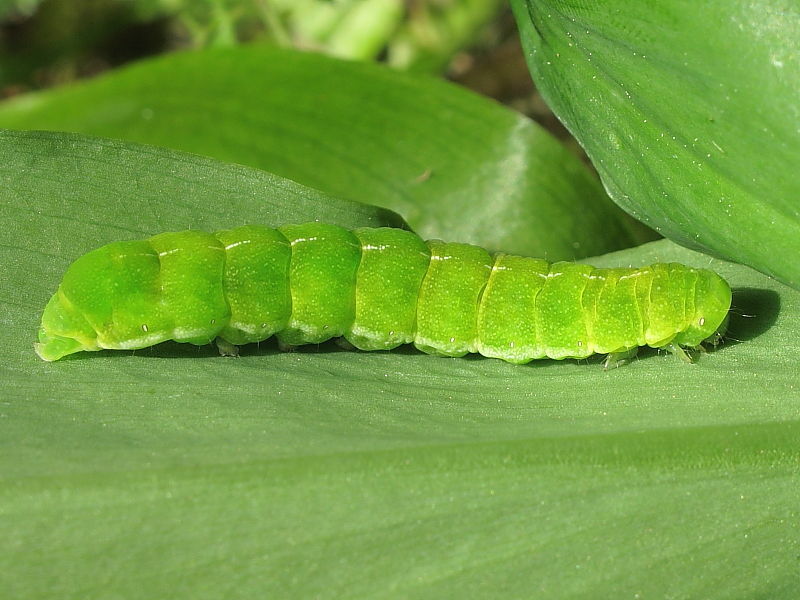 Late broods will overwinter as caterpillars and pupate during the spring. The adult moths emerge after about three weeks depending on the temperature. Rearing is easy and females taken in light traps will often lay freely in captivity. 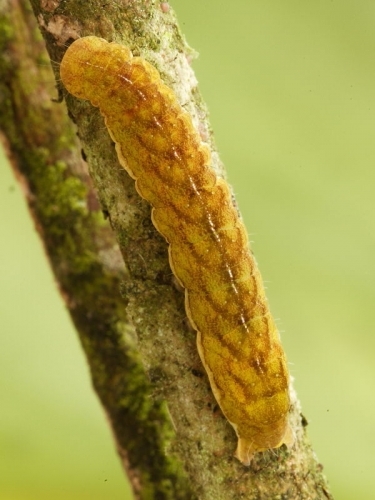 The caterpillars can be fed on a wide range of easily obtainable plants such as dock, bramble and sallow. 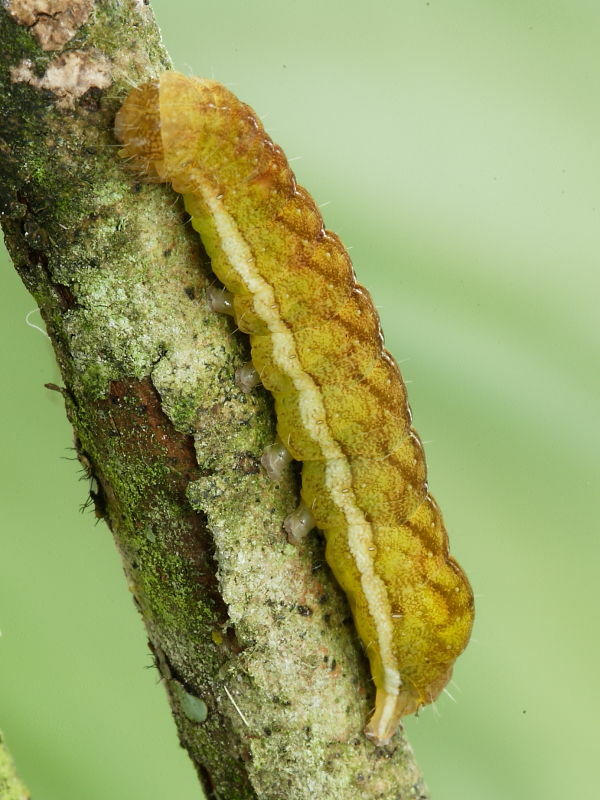 In readiness for pupation a thin layer of dried leaves or soil can be provided although caterpillars will readily spin cocoons on the sides of holding containers. The caterpillar shown pupating is one unearthed whilst gardening on March 8th. 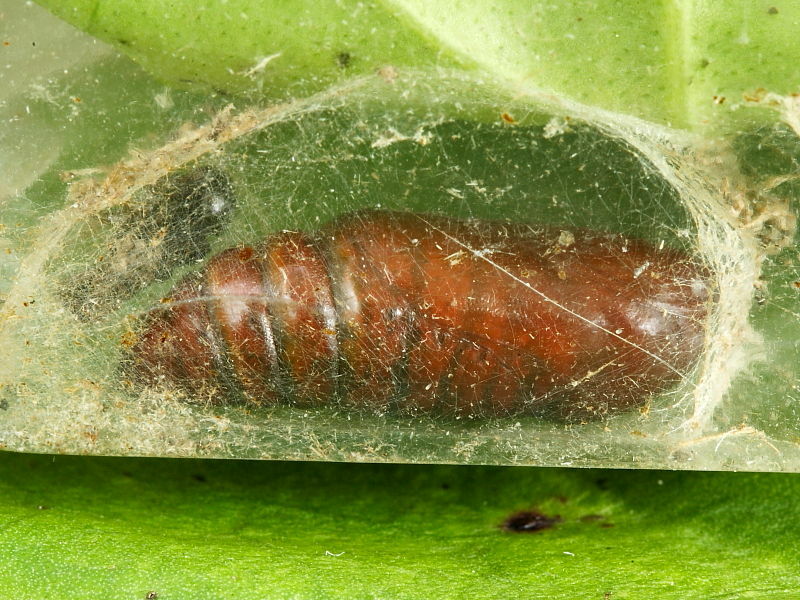 It was already fully grown and days away from pupating. It was reared in a small, plastic container with air holes and a supply of dock. It fed intermittently for a few days before spinning a cocoon on the edge of the container. 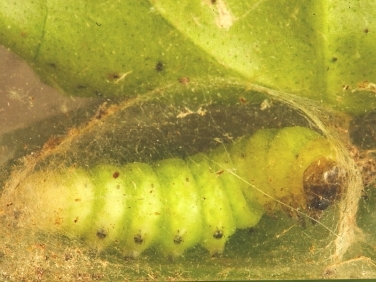 Twenty days after pupating the adult moth emerged and was released.